While still in her 20s, a young wife and mother to three sons, Daphne Caruana Galizia was the first woman to write a political column in Malta. 30 years later, the 53-year-old investigative journalist was murdered in a car bomb outside her home. At a ceremony in the European Parliament to unveil the renamed Daphne Caruana Galizia press room, Daphne’s husband Peter said: “My wife was killed because she mattered, because the powerful were afraid of her and because the criminals were infuriated by her. He added that he and his sons Matthew, Andrew and Paul were faced with a “new reality” in which “the physical elimination of a dissenting voice is possible and where those responsible have every chance of getting away with it”. “The unfounded libel suit is the last refuge of rogues, knaves and scoundrels” wrote Daphne Caruana Galizia on her influential blog in the weeks before she was killed. In the final year of her life, she was fighting no less than 47 libel suits. Under Malta’s Press Act (repealed only after Daphne’s death), journalists were particularly vulnerable to libel and defamation suits which could be filed for only €500 with no proof of serious harm. Most of the suits against Daphne came from Labour politicians or donors to the Maltese Labour Party. More than 95% of cases were filed by wealthy and powerful men. Silvio Debono, a Labour donor, filed 19 libel suits against Daphne for a single story about a government land deal. 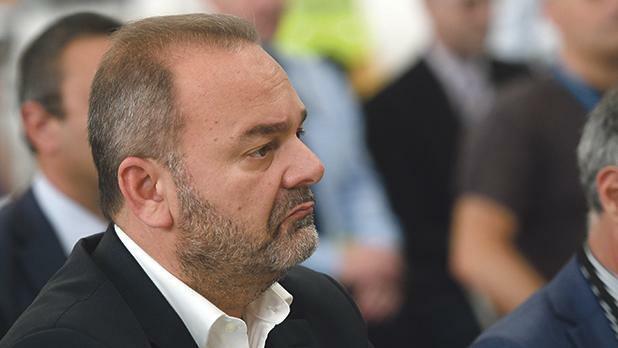 A libel suit filed by Maltese Minister Chris Cardona against Daphne for reporting that he and his aide Joe Gerada visited a brothel in Germany while on official EU business, resulted in a garnishee order against her bank accounts. As a result, €46,000 of Daphne’s assets were frozen. Last year, Cardona – who is currently Malta’s Minister for Economy and investment – and his aide dropped the case when the magistrates ordered that phone records which could confirm the men’s whereabouts on that evening in Germany should be preserved. However, Daphne’s €46,000 has yet to be returned to her family. According to her sister, Corinne Vella, Daphne was under mounting legal threats in the months leading up to her murder. Interviewed at her home in Malta, Vella explained what her sister had revealed about the “citizen by investment scheme” run by Henley & Partners. They are not selling Maltese passports. They are selling European Union passports for €650,000. “The Government implemented the scheme in Malta without any public consultations or official announcements. Malta’s passport sales scheme was not validated by the European Commission and the European Parliament has recently called for its termination. “When Daphne found out about the scheme and started to report on it, more and more people started to get angrier and angrier. People started objecting and the EU Parliament started asking questions, and there was a huge storm of protest. According to her sister, Daphne was particularly angry about the ‘citizenship’ and ‘investment’ link. The Investment for Citizenship scheme was introduced in Malta in 2014. A confidentiality agreement between the Maltese Government and Henley & Partners means that the total profits and total number of sales from the scheme remain unavailable to the public. In February this year the EU Commission passed a motion stating that the scheme should be terminated immediately because it is “impossible to verify whether the sales volume and further terms are in line with Maltese, EU, and international law and security considerations”. On 31 May 2017, Daphne published private email communications she alleged she had received from a Government source, which appear to show Henley & Partners’ CEO Christian Kalin co-ordinating with Maltese Government ministers to take legal action against Daphne in London. 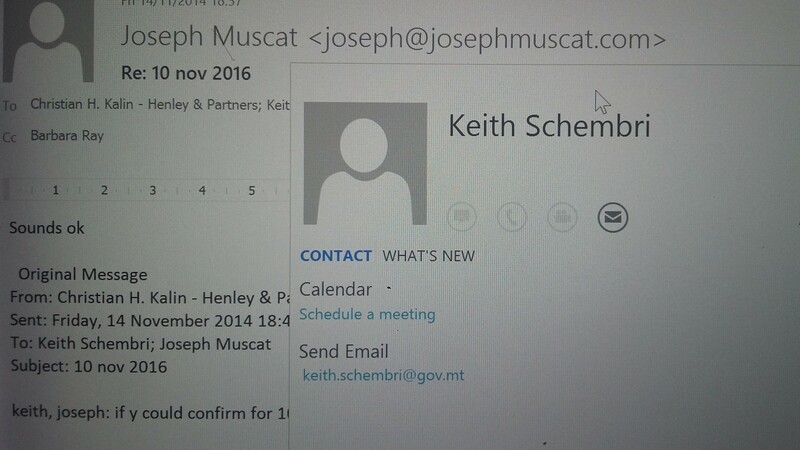 The emails from November 2014 appear to show Kalin in detailed discussions with Prime Minister Joseph Muscat, Tourism Minister Keith Schembri and Justice Minister Owen Bonnici, as well as others. Though the Government staff were using private email addresses on a US server to communicate, they included a Government email address by mistake. She went on to accuse Henley & Partners of working with “corrupt Maltese officials” and “tainting” the reputation of Maltese passports and shoring up “millions in some offshore account”. Henley & Partners has vehemently denied this accusation, but Corrine Vella believes that her sister was right about collusion between the Maltese Government and the firm. She said: “When you have a Justice Minister colluding with a corporation to silence a journalist rather than pushing back, I mean, it is actual collusion. The unfounded libel suit is the last refuge of rogues, knaves and scoundrels.